In addition to our acVOKS filter, we’re offering a mixer with its own unique Polivoks flavor. View the new module here. Random looping sequencer, quad A/R EG, analog drums and voltage controlled noise! We’ve been working on a fun little sequencer with expansion module—mostly just so we could whip out the orange LEDs. Remember a time before the DX series? We certainly do, and have been working on a tribute to the rich, analog CS series. 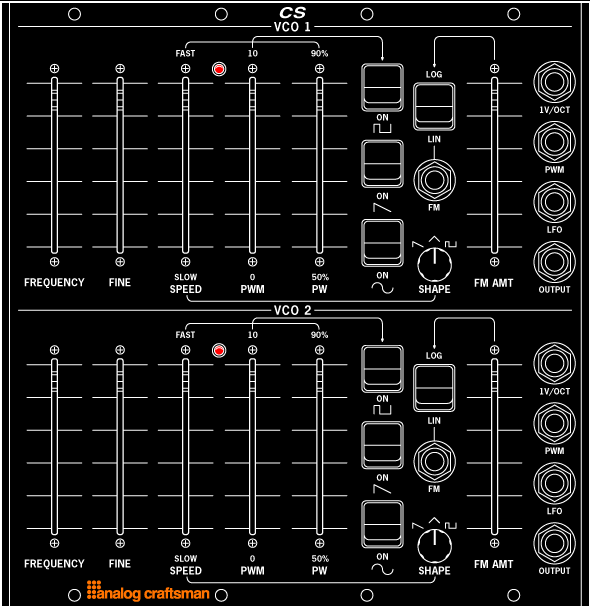 This Dual CS VCO module is a 4MU beast — each oscillator has 3 waveforms with PWM & FM adjustments. And no, there’s nothing wrong with owning a DX-7. We’ve been working on a companion to our ac2600 filter. Based on the Odyssey, the acODY VCO touts an adjustable sawtooth & square with FM & PWM.